Down Below is a record that mixes dreamy haze, bluesy roots, and psych sounds. It’s a lovely record with nuanced avenues that require slow travel and long listening. The title tune, “Down Below,” etches the blueprint: Gianfranco Romanelli’s resonator guitar strums certainty, while Alice Albertazzi’s voice hovers like a kite. And the final bit of the song, with its repeated refrain vocal of the down below, when matched with the shadow of the guitar, is sublime. 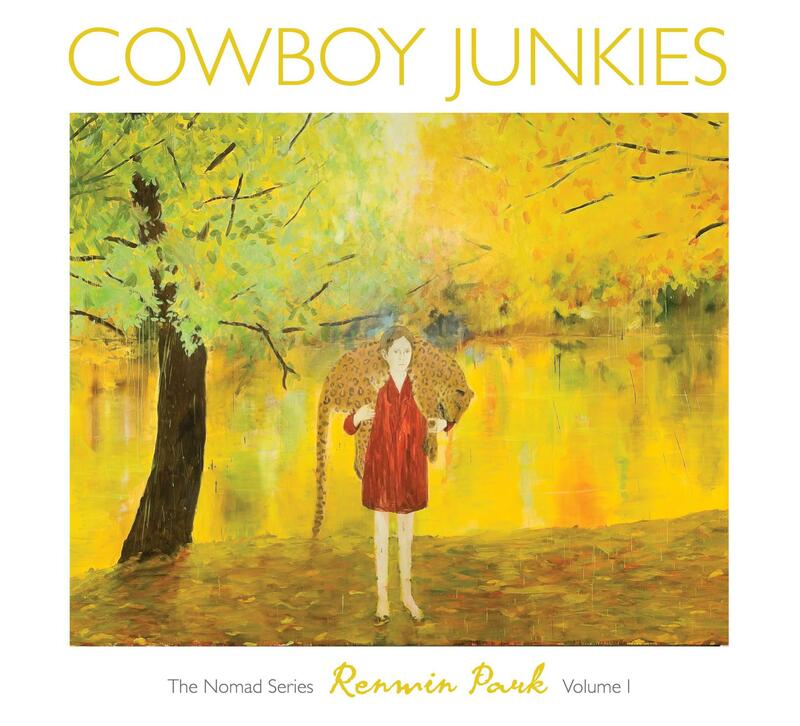 Fans of The Cowboy Junkies won’t be disappointed. However, the slightly skewed funhouse distortion of the guitar recalls the great Michael Chapman in his Harvest Records Window period. This is psyched-up acoustic blues. It’s also wonderful dreamy stuff that floats on beautiful sadness. This record is a collection of tunes that drift and swirl in a world of ephemeral beauty. The blueprint continues. “Dance Away” floats, once again, on the nuances of lovely Leslie-enhanced dance steps. The song pulses on sonic waves. The vocal melody is rich, but it requires patient mining, while the guitar sparks numerous distant starry notes. “Blow Away,” again, bubbles with distorted blues and Alice’s vocals plead piety. This is a warp-drive ride away from Robert Johnson, that somehow, returns to the very center of the heart of the Delta blues, with cosmic dust in its Hellhound Trail. This is blues seen through the Hubble eye. Truly, the symbiotic guitar and voice is the magical glue of this music. By the way, I recently reviewed a wonderful album Cosmic Wink by Jess Williamson which touched the heavens with its acoustic sound. This album has that weird wink in its DNA, too. And, yes, this is another album that sends blues into some sort of orbit. And “Follow” does just that, as it blends Delta blues with yet another melody that floats, again, like that windy kite ride. The juxtaposition of the earthy guitar and the sublime vocals melt into the grooves of the record. “Into the Maze” symbolically plays the band’s ace of hearts. This music is a wondrous journey into the before-mentioned nuanced avenues of soft and bluesy streets with welcoming shops of vocal melodies. But there is nothing new age or weirdly mystical about this music. There are times when this record hits the bullseye with blues buckshot. And then it continues to orbit the universe with a comet’s lonely tail. “Rubber Land” is much more strident. It plunges and soars with guitar and harmonica. Then the tune plunges again, as any decent blues tune does, from time to time. “Train” creates a universe of its own design. This is a slow throttle tune; it’s a song that contemplates the edge of humanity; it gambles a bit; it persuades a few demons to talk; it slides a guitar into a deep dance, while the eerie vocals touch the dark despair of a crossroads buried fear. It’s a mesmerizing song. The final tune, “Surround You,” is laced with a guitar that lopes and wah-wahs a bit, while the vocals sing to the heavens. And, yet, it’s still the blues, the blues that are slightly skewed through a funhouse mirror’s image. Ghosts dance in this music. It’s music that sings their sadness, while still praising the very heavens that guard their graves. Yes, indeed, it’s a lovely record with nuanced avenues that will always require slow travel and lovely long listening.